Hamdallah left his home without commenting on the outcome. Newly-appointed Prime Minister Rami Hamdallah withdrew his resignation after meeting with President Mahmoud Abbas on Friday, a senior official said. Hamdallah left the meeting without giving any statements to the press, and the president's office did not comment following the meeting. But high-level government officials said Abbas made intensive efforts to persuade Hamdallah not to resign. Tayib Abdul-Rahim, Abbas' top aide, and intelligence chief Majid Faraj left Hamdallah's home in Anabta on Thursday evening after more than three hours of talks trying to convince him to reconsider. The premier submitted his resignation to Abbas on Thursday following a heated argument between his deputies Muhammad Mustafa and Ziad Abu Amr. A 25-member cabinet under Hamdallah's leadership was sworn in on June 6 and, notably, included the appointment of two deputy prime ministers, Ziad Abu Amr and Mohammed Mustafa. When the new government was sworn in, it was he who held the first news conference following its initial cabinet meeting on June 11, not Hamdallah, in a move that raised a few eyebrows. Hamdallah, an independent considered close to Abbas's ruling Fatah faction who was head of Al-Najah University in Nablus and secretary general of the Central Election Commission, quickly pledged after his nomination to follow a similar path to Fayyad and said he would leave the government line-up largely unchanged. And he made clear he would quickly step aside in the summer after the planned formation of a government of national unity comprising Abbas's Fatah and its Islamist rival, Hamas. Fayyad resigned in mid-April after months of difficult relations with Abbas which hit a crisis over the resignation of finance minister Nabil Qassis, which the premier accepted but the president did not. That power struggle resulted in Fayyad stepping down but staying on as caretaker prime minister upon Abbas's request, with his term drawing to a close on June 2. Fayyad was widely respected by the international community for building a sound institutional framework for the Palestinian Authority, and his resignation sparked concern over who would take up his mantle. Israeli and PA Preventive Security forces have stormed on Thursday different parts of Dura west of al-Khalil. Israeli patrols along with PA Preventive Security vehicles have roamed different parts of Dura town in al-Khalil in total provocation to the residents' feelings in light of the escalated Israeli demolition orders in the area, local sources said. The sources added that the raid by Israeli and PA forces of the area classified as area C under full and exclusive Israeli control according to Oslo, caused tension and intimidation among the residents as they think the occupation is hiding some plans for them and will enlist the help of the PA security to implement them. Newly appointed Prime Minister Rami Hamdallah submitted his resignation to President Mahmoud Abbas on Thursday, informed sources told Ma'an. The decision is the result of a dispute over the premier’s jurisdiction and limits of power, the sources said. There was no immediate reaction from the president's office. Abbas swore Hamdallah into office on June 6. 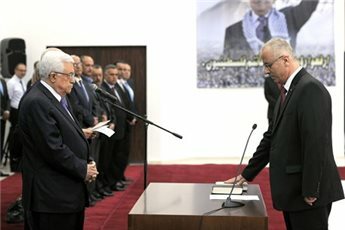 Upon taking the oath, Hamdallah pledged that his government would follow President Abbas’ agenda and policies. His cabinet held only two official sessions. Days ago, Palestinians in Hamdallah’s hometown Nablus demonstrated to urge the government to fight high prices and to lower taxes. In the short time since taking office, Hamdallah has visited Jerusalem and prayed at the al-Aqsa Mosque. He also met with representatives of organizations in Jerusalem. Prime Minister Rami Hamdallah left his office in Ramallah at noon Thursday for his home in Anabta, east of Tulkarem in the northern West Bank. He was traveling in a private vehicle just after offering his resignation to President Mahmoud Abbas, knowledgeable sources told Ma'an. A delegation from the president’s office arrived in Anabta for talks with Hamdallah over his resignation. A source highlighted that the newly-appointed premier submitted his resignation to Abbas following a heated argument between his deputies Muhammad Mustafa and Ziad Abu Amr. The source expects Abbas to meet Hamdallah later this evening to try to convince him to change his mind. 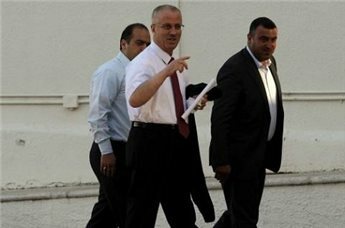 Aides to the president declined to comment on Hamdallah’s resignation. Barhoum wrote on his Facebook page that the right choice would be to implement all the terms of a reconciliation agreement instead of “duplicating” past formulas. 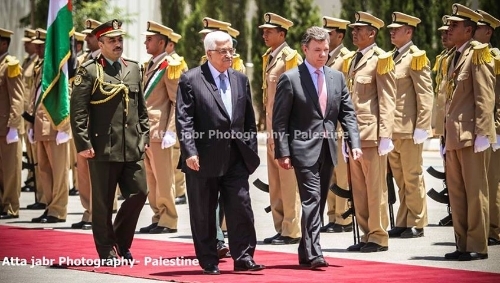 Abbas swore Hamdallah into office on June 6. 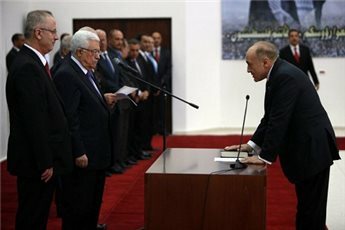 Upon taking the oath, he pledged that his government would follow President Abbas’ agenda and policies. Member of the Palestinian Legislative Council Muhammad Dahlan says he is not surprised at all by the resignation of newly appointed premier Rami Hamadallah. The problem, added Dahlan, is not who serves as prime minister, both in the past and future, because even if all experts of the world work together they will fail to remedy the situation, according to Dahlan. He asserted that the Palestinians should have the courage “to reconsider some bases of the PA which have become unfit” to continue. According to Dahlan, the main point is that the PA must be strengthened through building institutions “rather than be dependent on individuals” and that is the only way it can counter external pressures and internal crises. Aides to President Mahmoud Abbas spent three hours trying to convince newly appointed Prime Minister Rami Hamdallah to change his mind about resigning late Thursday. Tayib Abdul-Rahim, Abbas' top aide, and intelligence chief Majid Faraj left after more than three hours of talks at Hamdallah's home in Anabta trying to convince him to reconsider. A Ma’an reporter in Tulkarem said the meeting ended without either side making a statement. If he insists on his resignation, the president, under law, must appoint a new premier. Abbas himself could end up filling the post. Hamdallah left his office in Ramallah at noon Thursday in a private car after offering his resignation, knowledgeable sources told Ma'an. They said the premier submitted his resignation to Abbas following a heated argument between his deputies Muhammad Mustafa and Ziad Abu Amr. His cabinet held only two official sessions. Days ago, Palestinians in Nablus demonstrated to urge the government to fight high prices and to lower taxes. Political bureau member of Hamas Ezzet Al-Resheq has denied press reports claiming that his movement was preparing a security plan to back Egyptian Muslim Brotherhood during expected hostile demonstrations. Resheq said in a press release on Thursday that what Kuwaiti daily Asseyasa and other electronic websites had published in this regard was completely baseless and deceptive. He said that common sense refuses such false and fabricated news that only aim at smearing Hamas and its honorable stands. The Hamas leader said that charging his movement with interfering in internal Arab affairs was a “sheer lie”, adding that his movement had repeatedly announced that it did not and would not interfere in the internal affairs of any country. Resheq called for sparing Hamas political wrangling in any Arab country, affirming that Hamas was only concerned with Palestine and its battle was only against the “Zionist enemy”. Dr. Ghazi Hamad, a political leader of the Islamic Resistance Movement (Hamas) revealed, Wednesday, that political leaders of Hamas held meetings with several European ambassadors and officials, and with senior American leaders. Hamad said that the core of the meetings focused on removing Hamas from the “terror list”. He told the Arabic Sky News that a serious of meetings with American and European officials have been held in a number of Arab capitals, and that the most recent meeting was held two weeks ago. “There is no legal or political reason to keep Hamas on the terror list”, Hamad added, “but these talks are not on the decision making level yet”. 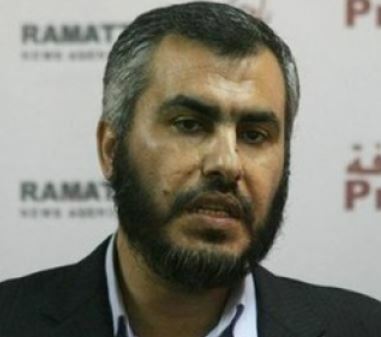 The Hamas official also held a meeting with several journalists in Gaza, and affirmed the decline in relations between the movement and Tehran due to what he called “Hamas’s support to the Syrian people against Bashar Assad”. 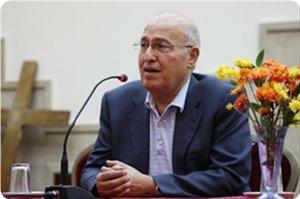 “The relations have seriously declined”, he said, “I hope this decline won’t completely sever the ties with Tehran”. On the Egyptian level, Hamad said that the movement does not intervene in internal Egyptian affairs, “despite the fact that the Muslim Brotherhood is in power”. “Hamas never meddled into internal Egyptian affairs, in any way, shape or form”, he said, “But we are still facing accusations and smear campaigns”. He claimed that Hamas has information and documents that implicate “those responsible for such rumors in Palestine and in Egypt”, and added that Egyptian officials who accused Hamas of meddling in Egyptian security affairs never presented any proof. As part of its regional tour, a high-level Hamas delegation visited the Turkish capital Ankara on Tuesday and met with Turkish premier Recep Erdogan and other officials. Senior Hamas official Ezzat Al-Resheq stated on his facebook page that the visit of the Hamas delegation to Ankara came after a successful visit to Cairo. The delegation's visit to Turkey is part of a regional diplomatic tour including some Arab and Muslim countries. The tour is aimed at putting the visited countries in the picture of the latest political and security developments in the Palestinian arena to clarify Hamas's position towards some regional events. The Hamas delegation visited, in addition to Egypt, Bahrain and Kuwait and is expected to visit Jordan, Oman and other Arab and Muslim countries. In another context, dozens of Gazan students from the summer camps participated on Tuesday afternoon in a rally organized by the Islamic bloc near the memorial of Mavi Marmara martyrs in solidarity with Turkish premier Recep Erdogan. The students carried banners stating that the Palestinian people are proud of premier Erdogan and his courageous positions in support of the Palestinian cause. The students also urged Erdogan in their banners to stand firm against those who want to spread corruption and immorality among the Turkish society. 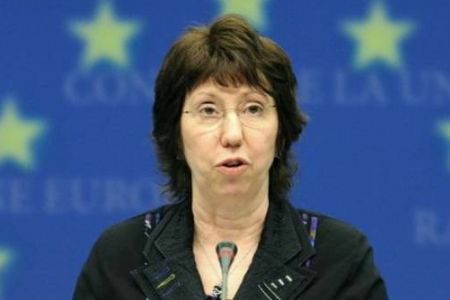 European Union foreign policy chief Catherine Ashton is scheduled to start Sunday a five-day visit to the Middle East that will take her to Jordan, Iraq, Lebanon, Egypt, Israel and Palestine, a statement by the EU office in Jerusalem said Tuesday. Ashton will start her visit on Sunday in Jordan and is expected to be in Israel and Palestine on Wednesday and Thursday. She will hold talks with President Mahmoud Abbas and Prime Minister Rami Hamdallah in Ramallah on Wednesday after meeting Israeli Prime Minister Benjamin Netanyahu and Justice Minister Tzipi Livni in Jerusalem. 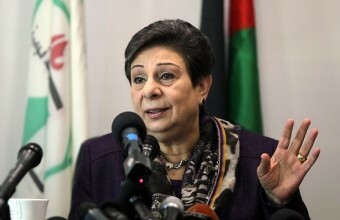 She will also visit Gaza on Thursday where she will meet UNRWA Commissioner General Filippo Grandi. 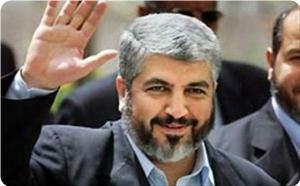 Political bureau chairman of Hamas Khaled Mishaal left Cairo en route to Ankara at the head of a senior delegation, Ezzet Al-Resheq, political bureau member of Hamas, said. Resheq said on his Facebook page on Monday night that Mishaal and the accompanying delegates would meet with Turkish premier Recep Tayyip Erdogan. He said that during Cairo visit Mishaal conferred with Egyptian president Mohammed Morsi on Palestine cause developments, Palestinian reconciliation, Arab conditions, and the Syrian issue. A high-level delegation of the Hamas Movement led by Khaled Mashaal, head of its political bureau, concluded a meeting on Monday with Egyptian president Mohamed Morsi at the presidential palace in Cairo. According to a press release issued by the Egyptian presidency following the meeting, Morsi discussed with the Hamas delegation the latest developments with regard to the Palestinian reconciliation and the Egyptian efforts in this regard. The presidential statement said that Morsi urged the Hamas officials to necessarily work on achieving the Palestinian reconciliation so as to strengthen the Palestinian position. Morsi also pledged to give the issue of Jerusalem priority on his agenda. For his part, Khaled Mashaal thanked the Egyptian president for his efforts to heal the rift in the Palestinian arena and for his generous support for the Palestinian cause. In a separate statement, member of Hamas's political bureau Ezzat Al-Resheq said that the meeting with the Egyptian president was positive and there was a common agreement about the Palestinian and regional issues in question. Resheq noted that the meeting also addressed the regional events, especially the Syrian crisis. 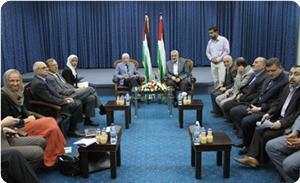 Palestinian premier Ismail Haneyya and other senior members of the political bureau attended this meeting. The PA used to call itself "the Palestinian National Authority." Now, The State of Palestine" is replacing the PA as the official name of the semi-autonomous regime. Unfortunately both names are devoid of substance as the Israeli occupation continues to control every street and neighborhood in the West Bank . As to terrorizing Palestinians on behalf of Israel, it shows that the PA is decidedly at Israel's beck and call, which means that the PA is actually answerable to the Zionist regime, its whims and vagaries when the Ramallah regime ought to be responsible to the Palestinian people. Apart from the political dimension, one can't really find the right words to describe the scandal of PA willingness to spend hundreds of millions of dollars on protecting the security of Israeli settlements in the West Bank when more than 70% of Palestinians live under the poverty line. This week, PA economy minister reportedly met with his Israeli counterpart and agreed on more "economic coordination." This shows that the PA never learns from its mistakes. Egyptian security has asked Hamas leaders to change the hotel its delegation is staying in after receiving intelligence that protests will be held outside, sources told Ma'an. Hamas' chief in exile Khaled Mashaal and Gaza premier Ismail Haniyeh, along with a delegation of 24 party officials, were told that demonstrators would be rallying outside the Intercontinental Hotel to protest the Islamist movement's "intervention in internal Egyptian affairs," the sources said. Egyptian security had been asked by protestors to "send Hamas leaders out of Egypt," responding that they were prepared to defend the delegation, the sources added. The sources added that the change in hotel was required because forces did not "have the situation under control." The delegation is in Cairo for emergency talks with the Supreme Guide of the Muslim Brotherhood movement in Egypt Muhammad Badie. The movement has come under sharp criticism in recent weeks after former Egyptian Interior Minister Mahmoud Wagdy said Hamas took part in prison riots during Egypt's revolution. On Tuesday, senior Hamas leader Mahmoud Zahhar denied the accusation saying his movement had never interfered in Egypt's security but that it maintained constant contact with Egyptian intelligence services. 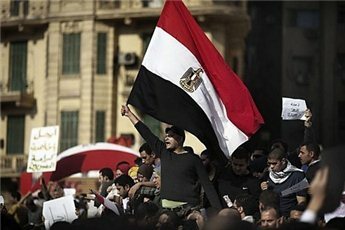 In May, The Associated Press reported that orchestrated attacks on prisons in Egypt during the uprising in 2011 saw over 20,000 detainees escape. 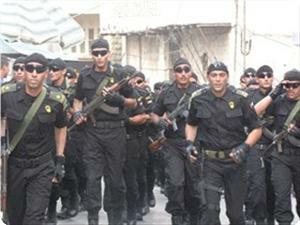 Around 40 Hamas and Hezbollah members reportedly escaped, together with over 30 leaders in the Muslim Brotherhood. Palestine is backing down from plans to ask UNESCO to place an ancient West Bank village on its World Heritage in Danger list, a year after the UN scientific and cultural agency voted to include Bethlehem’s Nativity Church. 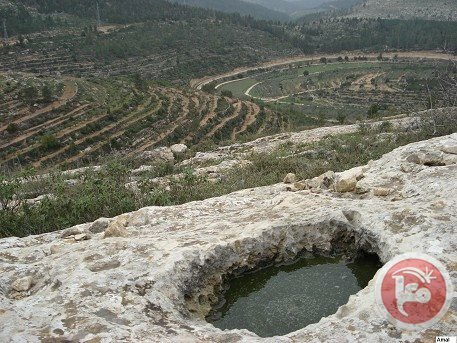 Residents of Battir, southwest of Jerusalem, which is home to an ancient Roman irrigation network in continuous use for centuries, expected the Palestinian delegation to nominate the farming village for inclusion on UNESCO’s rosters during its annual convention, which opens Sunday in Cambodia. 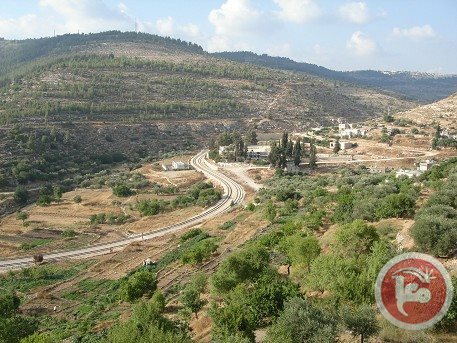 Experts in Battir and Bethlehem who helped draft the application told Ma’an that the Palestinian delegation in Paris received a completed file in January. It should have submitted it by a February deadline but did not, the officials said. This is because in early 2013, Palestinian and Israeli officials worked out an informal agreement to freeze the nomination, a PLO official with knowledge of the decision said. In return, the Israeli government indicated it would permit the UN agency to send an investigative team to Jerusalem, the official said, speaking on the condition of anonymity because he was not authorized to discuss the sensitive negotiations with Israel. “All the paperwork was ready for the Battir application ... It was stopped in exchange for the delegation to Jerusalem,” the official explained. Israel ended up reneging on the deal weeks after the deadline to submit Battir had passed. “What we did was bad. It was a really big mistake ... They were never going to allow UN investigators into their ‘undivided, eternal capital,’” the official added, referring to Israel's vision for Jerusalem. Israel occupied the city after a 1967 war and later annexed it in a move never recognized abroad. Israeli officials say they were unaware of the change of plans and denied that delaying or canceling the vote at UNESCO was part of the deal to bring the delegation to Jerusalem. Israel announced approval in April of a UNESCO monitoring visit to Jerusalem, the first since 2004. It followed demands from Jordan, which has historically administered Muslim and Christian holy sites in the city. In May, however, Israel said it was no longer cooperating because the Palestinians "politicized" the visit. The decision to put off the nomination angered Palestinian experts and local officials who had selected Battir based on imminent threats they said its cultural sites faced from Israel’s wall. The Battir municipality is locked in a court battle with the Israeli army to re-route the barrier, and they hoped the global attention from a successful vote might even the playing field. Bader said the Palestinian leadership neglected an opportunity to offer "protection against Israeli violations" as well as boost the economic, cultural and historical value of the village. UNESCO's 21-member World Heritage committee meets once a year to discuss the management of existing heritage sites and to consider nominations for new ones. It was at this conference in June 2012 that the agency narrowly voted to accept Palestine's first submission, the Nativity Church, over the objections of Israel and the United States. Palestinian officials said they would submit Battir in 2013. The village sits upon the slopes of two rocky, green hills where its farmers still use a 2,000-year-old Roman irrigation system that runs down the sides of both hills. Battir's lands are uniquely within all three designations of a 1995 agreement with Israel, divided into areas "A," "B," and "C,". If Israel's plans go forward, the wall will section off some 30 percent of areas "B" and "C," lands which contain most of the village's vital farmlands, officials say. Giovanni Fontana Antonelli, a cultural programs specialist for UNESCO, called the Palestinian Authority's decision "very inexplicable" and charged that it could "jeopardize the site forever." Antonelli, who helped prepare the application in December and January, said that UNESCO's recognition would have made it "more difficult for Israel to grab that land." He also said it would have become a natural tourism destination. "People in Battir (could) start to have small businesses there instead of migrating," he said. Nada Atrash, head of research and development at the Cultural Heritage Preservation Center in Bethlehem, agreed that the nomination "would help Palestine but at the same time add to its responsibilities." Atrash, who was also involved in preparing the application, says the nomination "will not stop vandalism" because UNESCO can only issue statements and condemnations. She said it was up to the Palestinian people to protect their land, but she hoped the Palestinian leadership would reconsider the application. 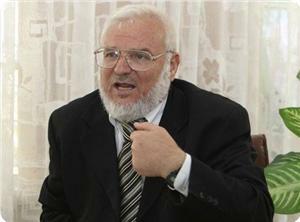 Calls to Nabil Abu Rudeina, a spokesman for President Mahmoud Abbas, were not immediately returned. Nor did Riyad al-Malki, the Palestinian foreign minister, respond to inquiries Saturday. Palestine's delegation to UNESCO did not respond to repeated requests for comment by phone and email. Aides to ambassador Elias Sambar refused to make him available for interview. 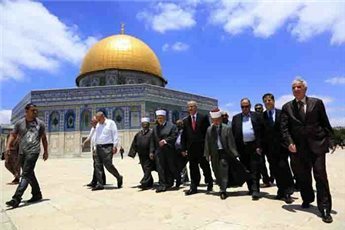 Jerusalem and its holy sites are a top priority for the Palestinian Authority cabinet, newly appointed Prime Minister Rami Hamdallah said Sunday while visiting the city. Hamdallah told Ma'an that the PA is going to implement a number of projects in Jerusalem to support Palestinians, without providing further details. The newly-appointed prime minister visited the Al-Aqsa Mosque compound and the Al-Makassed Islamic Charitable Society Hospital, and was accompanied by the governor of Jerusalem, Adnan al-Husseini, the grand mufti of Jerusalem, Mohammed Hussein, PA health minister Jawad Awwad and several other officials. Hamdallah said the PA is trying to build support for Jerusalem in Arab and international conventions, and was briefed about Israeli violations around the Al-Aqsa compound. Israel captured East Jerusalem in 1967 and later annexed it in a move never recognized by the international community. Eight out of 10 Palestinians in East Jerusalem live below the poverty line, the Association for Civil Rights in Israel said in May, calling it the "worst rate of all time." Newly-appointed Palestinian Authority finance minister Shukri Bishara met his Israeli counterpart Yaer Lapid in Jerusalem, the PA announced Sunday. The two discussed reactivating the specialized joint technical committees which Israel unilaterally suspended in November 2012, a statement issued by the PA government press office read. The committees were set up as part of the Oslo Accords to deal with issues such as clearing, crossings, fuel, medical referrals, electricity, water and telecommunications. Bishara and Lapid also discussed accumulated debts the PA owes to Israel's Electricity Company, as well as tax revenues Israel collects on behalf of the PA.
A statement from Lapid's office said that Sunday's meeting was taking place "in coordination" with Israeli Prime Minister Benjamin Netanyahu. In March, Israel said it would restart regular monthly tax transfers to the Palestinian Authority, which it withheld in response to President Mahmoud Abbas' successful UN upgrade bid. At the time, Israel said it would be making decisions on the revenue transfers on a monthly basis. Bishara, a banker and economist, was sworn in to the 15th Palestinian government headed by Rami Hamdallah on June 6, replacing former premier and finance minister Salam Fayyad. On Saturday Hamdallah vowed to boost Palestinian development and to overcome the current financial crisis in Palestine "caused by practices of the Israeli occupation which impede development." 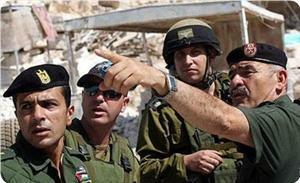 His comments were made during an official visit to the West Bank city of Jericho. 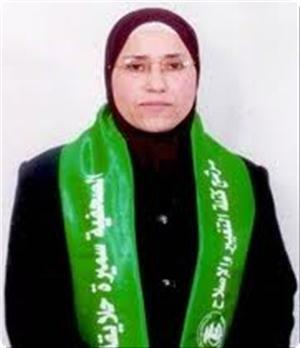 Palestinian lawmaker Samira Al-Halayka said that the Palestinian Authority (PA) ignores the reconciliation agreements and the recommendations of the national freedoms committee through the persistent arrests and summonses its security forces carry out every day against its political rivals. Halayka stated on Saturday that what happens on the ground is quite contrary to what has been agreed upon during the latest meetings between Hamas and Fatah factions. She said that the PA violated its reconciliation agreements when it formed a new unconstitutional government and held local and municipal elections. The lawmaker underlined that such practices by the PA would deepen the division in the Palestinian arena, affirming that the national reconciliation would never be achieved by forming governments or holding elections, but by closing the file of political arrests once and for all. "Those who sit with Hamas Movement and talk through the media about their desire to achieve the Palestinian reconciliation and end the division are the same people who seek on a daily basis to eradicate it and break its will through launching campaigns of political arrests and summonses against it," the lawmaker highlighted. In a related incident, the PA security forces arrested five Hamas activists and summoned five others for interrogation during raids in Ramallah, Nablus, Bethlehem and Qalqiliya. The PA military court, in turn, postponed the trial of two prisoners affiliated with Hamas. For his part, prisoner Yousuf Al-Barghouthi, from Hamas, is determined to continue the hunger strike he started 10 days ago in protest at his detention without any guilt. The PA security apparatuses have arrested 55 Palestinian citizens and summoned 63 others in different West Bank cities since the start of the current month, according to a statistical report released on Saturday by the family committee of political prisoners in the West Bank. The committee stated the PA security apparatuses focus during their daily campaigns on the arrest of ex-detainees in Israeli jails, university students and relatives of martyrs and prisoners, adding that most of these detainees are affiliated with Hamas. It noted that the rate of political arrests and summonses in the West Bank have risen since the last reconciliation meeting that was held in May in Cairo. Ezzet Al-Resheq, political bureau member of Hamas, denied press allegations that Hamas leader Khaled Mishaal was on an extraordinary visit to Cairo to deal with security problems. He told Jordanian weekly newspaper Assabil published Saturday that the reports, which also claimed that a number of Hamas cadres who were banned from entering Egypt were accompanying Mishaal, were completely baseless. 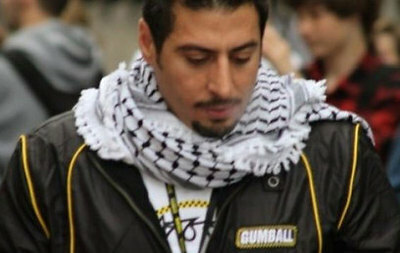 Resheq said that the reports fell in line with the campaign that targets smearing the reputation of Hamas and spreading confusion in the Egyptian street. He affirmed that Mishaal’s tour was part of an Arab and Islamic tour, adding that Mishaal and the accompanying delegation would meet with the Egyptian leadership. 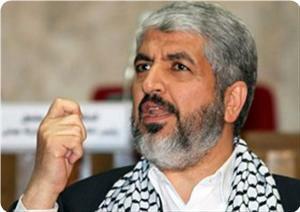 In another context, Resheq said that Mishaal is scheduled to visit Jordan and meet with King Abdullah. He said, however, that date of the visit was not yet fixed, expecting it to be soon. Resheq said that Mishaal and the accompanying delegation would discuss Palestine cause developments, the reconciliation process, the incessant Judaization attempts in occupied Jerusalem, and latest Arab developments. Khaled Mishaal, political bureau chairman of Hamas, arrived in Cairo at the head of a senior-level delegation on an official visit to Egypt. Ezzet Al-Resheq, political bureau member of Hamas, told the PIC on Saturday that Hamas leadership would meet with the Egyptian leadership as part of a tour of a number of Arab and Islamic capitals. He said that the Hamas delegation would discuss Palestine cause developments and the current Arab conditions and their impacts. Palestinian premier Ismail Haneyya left the Gaza Strip via the Rafah border terminal afternoon Friday en route to Egypt on a few days visit, the PIC reporter said. 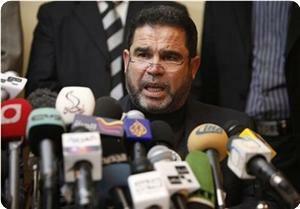 Haneyya told the Friday congregation that Hamas did not interfere in the internal events in Egypt and Syria. He denied presence of Hamas fighters in Syria fighting alongside the opposition and denied differences within the movement over the conflict in Syria. Recent press reports alleged that Hamas was divided over the incidents in Syria with one team supporting the regime and the other supporting the opposition. 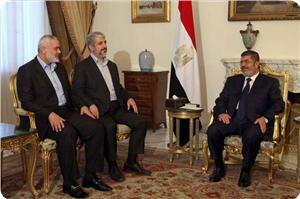 Other reports spoke of tense relations between Hamas and Egypt. A delegation of Hamas movement figures headed by MP Salah Bardawil accompanied by seven members left Gaza via Rafh crossing to Cairo on Thursday. The delegation left Gaza heading to Cairo to discuss the implementation of the national reconciliation. 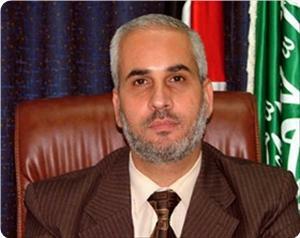 Two other Hamas delegations left to Cairo led by the Secretary General of the Council of Ministers Abdul Salam Siam and Director General of border crossings Maher Abu Sabha. Since its revolution in 2011, Egypt has made great efforts in order to achieve the national reconciliation and to end the Palestinian division since 2007. The leader in Fatah movement, Nabil Shaath stressed that his movement is" doing the utmost to prevent a violent uprising", stressing that an intifada (uprising) doesn't have to be violent. "We can’t guarantee we would be able to prevent another intifada," he added speaking to Israeli reporters on Thursday in Ramallah. The PA is working to prevent violence against settlement and Israeli borders, he said, stressing that PA spending on Israeli security is more than the PA education budget. Palestinian President, Mahmoud Abbas, met on Thursday [June 13 2013] the Palestinian climber who managed to reach the summit of the Everest, and raised the Palestinian flag. Abbas met Raed Zidan, 35, in Amman – Jordan, congratulated him for this achievement and stated that this is a source of pride to all Palestinians. The Palestinian-American reached the summit in May, and stated that his climb is dedicated to the Palestinian people struggling against the Israeli occupation of their land, especially Palestinian political prisoners held by Israel. He climbed the Everest along with 35 internationals and 29 Nepalese guides; they said that they wanted to reach the summit to raise a million dollars for promoting education in Nepal. They call themselves “Arabs With Altitude”, they were also joined by Raha Mubarak, 25, a Saudi woman living in Dubai, who became the first Saudi woman to reach the highest peak in the world. Zeidan lives in Dubai and in Indianapolis in the United States. He climbed the world’s highest summits and raised the Palestinian flags on them. He is married, a father of three children [Lydia, Lilian and Khaled]. 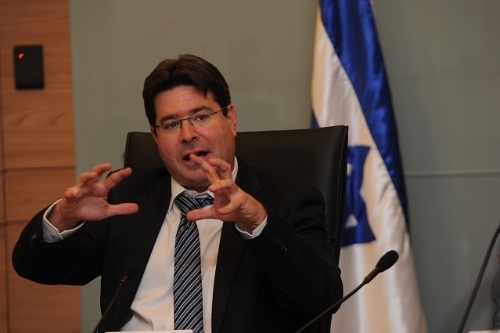 Ofir Akunis, deputy minister in charge of government relations with the Knesset, told Israel Radio Thursday 13th June, that he believe the Palestinians are not yet ready for statehood or even expanded autonomy. According to Akinus, "The Palestinians are not even negotiation partners because they continuously torpedo attempts to resume peace talks and reject Israel's repeated calls to meet without preconditions." 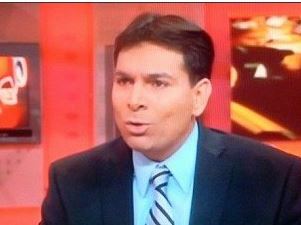 It's worth mentioning that Akunis is considered a close ally and political protégé of Israel's Prime Minister Benjamin Netanyahu, who refused to express support for a two-state solution. "I personally believe that in the current state of regional affairs, a long-term interim agreement is the better option," Akunis said. Palestinian President Mahmoud Abbas welcomed his Columbian counterpart Juan Manuel Santos, who arrived to Palestine today. Welcoming official ceremonies took place in Ramallah before the two presidents started official talks. More than 12 thousand foreigners and solidarity activists have arrived in the Gaza Strip via Rafah and Beit Hanoun crossings since the beginning of this year, at a rate of 2,400 foreign visitors per month. Aybak Rab'i, Deputy Director General of the Immigration department in the Ministry of Interior in Gaza, said during a tv interview: "The entry of such large numbers of foreign visitors to the Gaza Strip proves the international solidarity with our people, especially after the Zionist devastating war." 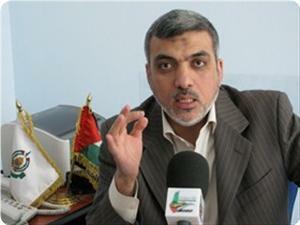 He noted that more than 26 thousand foreigners have visited the Gaza Strip in 2012. Rab'i pointed out that the Department offers entry permits, temporary residency, and annual residency cards to the foreign visitors. He noted that the Ministry of Interior has granted since the beginning of this year 147 annual residency card to foreigners in the Gaza Strip. The Department also granted citizenship to Palestinians who hold foreign passports and do not have Palestinian identity cards, the Palestinian official said. He added that Palestinian refugees displaced from Syria, and who wish to come to Gaza, are also allowed to enter the Strip.